11 days from £3715pp plus international flights. 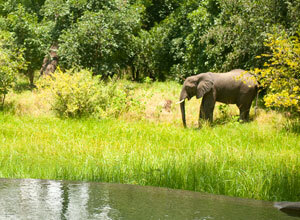 A winning combination of wildlife and natural spectacle, with a 2-centre safari in South Luangwa National park followed by 2 full days to experience the majesty of Victoria Falls and all the activities on offer there. This is a holiday that will leave you enriched and enthralled, with a wealth of photos to excite the envy of friends and family. 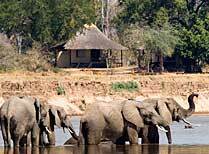 South Luangwa is widely recognised as one of the best safari destinations in Africa, with high concentrations of animal and bird life. Not to be outdone, the scenery is stunning, with rich woodlands, beautiful oxbow lagoons and sweeping plains which will have you reaching for your camera time and again. You'll be staying in two different areas where you'll be able to explore by vehicle and on foot, led by expert local guides keep to share their knowledge and enthusiasm with you. 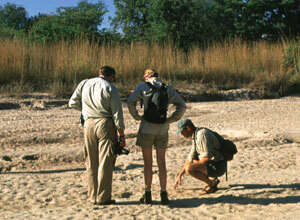 You'll be amazed by how much you learn during your week on safari. 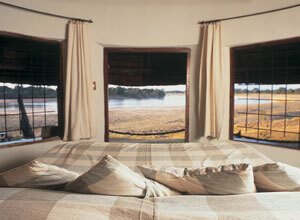 Be warned - safaris are addictive! 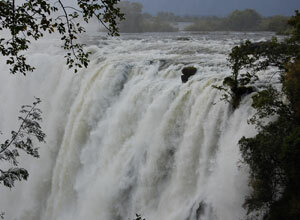 The safari is hard to top, but the sight, and sound, of Victoria Falls can at least match it for thrills. You'll have 2 full days here, to marvel at the falls and take advantage of the activities, from the pulse-raising bungee jumps and whitewater rafting to the more sedate sunset cruises. There's something for everyone. 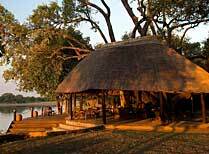 You'll be staying as a guest of the esteemed Robin Pope Safaris, who've been operating since 1986 and own all the camps and lodges. The accommodation is of a very high standard, where you'll be looked after by friendly, professional staff in a relaxed atmosphere. Please note: During the Emerald Season (Jan-May, Nov-Dec) Nsefu and Tena Tena are closed, so you will spend the full week exploring the beautiful Nkwali area before moving on to Victoria Falls. NB: During the Emerald season (Jan-May & Nov-Dec) Nsefu and Tena Tena are closed so you spend the week exploring the beautiful Nkwali area. Price notes: 2019 Guide price pp sharing - Jan-21 May, Nov-Dec £3,715. 22 May-30 Jun £4,825. July-Oct £5,605. 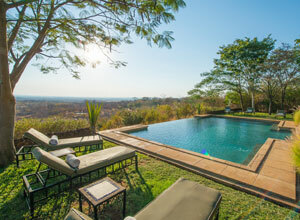 10 nights full board accommodation based on twin share; airport transfers; domestic flights (Lusaka-Mfuwe; Mfuwe-Livingstone via Lusaka); park fees; daily safari activities except in Livingstone; local drinks; laundry. 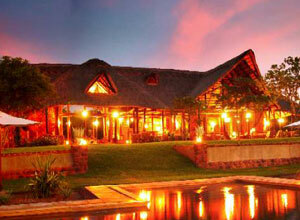 International flights and taxes; visas; premium drinks; tips; personal expenses; Victoria Falls entry fee. You need to fly into and out of Lusaka. Flights will cost from about £900 per person, depending on season and availability. From the UK the best route is via Johannesburg. We usually book these flights for you. Departure dates: This is a tailor made holiday that operates all year departing on the day of your choice, subject to availability. 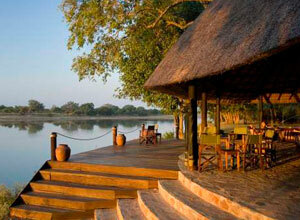 This is one of THE best places for an African safari. 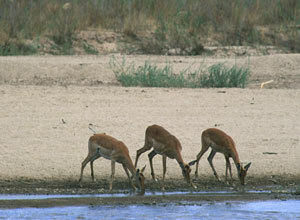 It is one of the last unspoilt wilderness areas and possibly the finest wildlife sanctuary in Africa. One of the most famous and awe-inspiring sights in Africa. 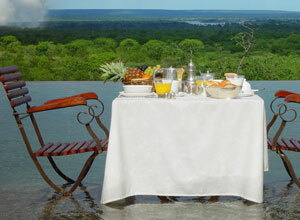 A perfect start or end to a safari in Zambia or Botswana, or enjoy it in its own right. An already-incredible experience will become even more special when you know that your safari is helping the wildlife you’ve come to see, the environment you’ll fall in love with, and the people that will make such an impression on you. 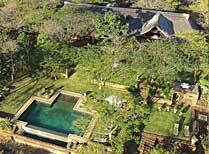 This trip uses camps run by Robin Pope Safaris. Tribes has worked with them for many years and we rate them as one of the best when it comes to doing things right. They do right by our travellers, giving you an amazing wildlife and wilderness experience, and they do right by the people and places in their sphere of influence. 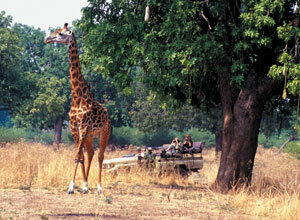 They’ve won various awards for their efforts in poverty reduction, they strongly back anti-poaching activities and carnivore research programmes, and they are very careful to use green technology such as solar power, natural air cooling and living grass roofs in order to minimise environmental impact. 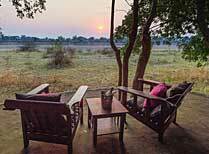 The Luangwa Valley is a very special area of wilderness (which includes the second largest wild dog population, the largest lion population and one of the largest leopard populations in Zambia) that needs all the protection it can get. 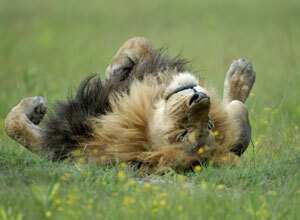 Robin Pope Safaris offer some of this protection.